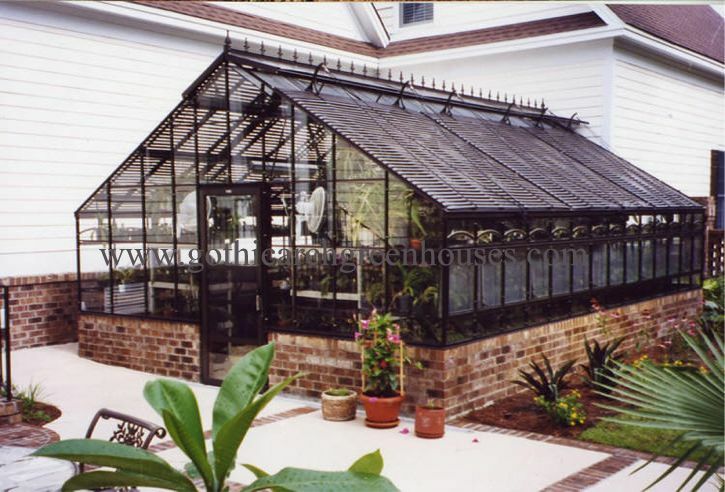 Simply put, the beauty and strength of the AC Garden Series Greenhouses makes it one of the best greenhouses anywhere. 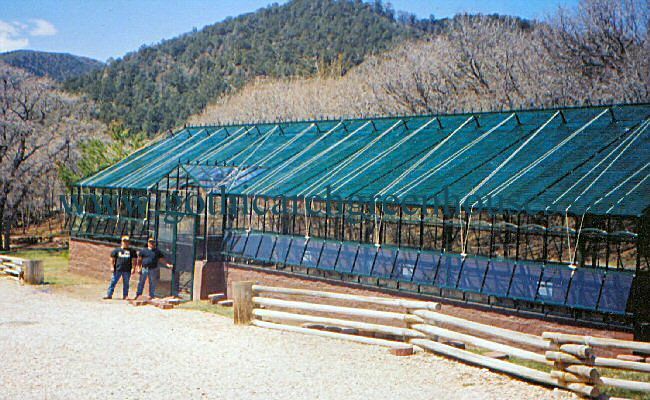 AC Garden Series Greenhouses are designed as graceful curved eaves and glass OR elegant straight eaves with either glass or triple wall polycarbonate (with optional Victorian ridge cresting). They are as esthetically charming as they are practical. 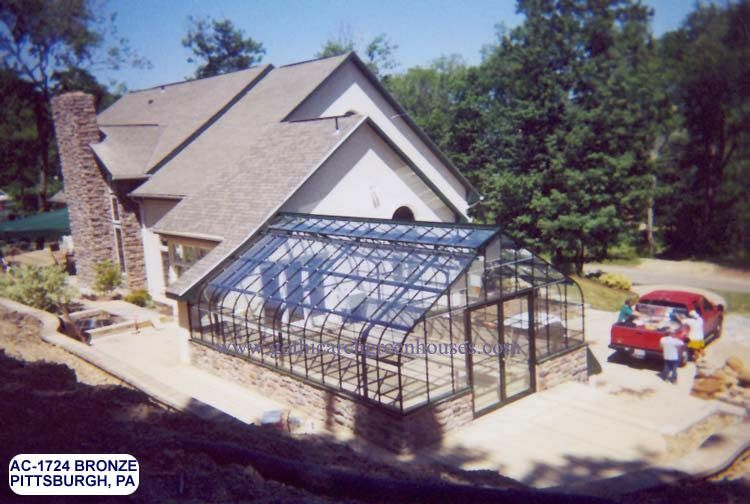 The unique blend of form and strength of design creates a wonderful growing environment able to meet and exceed any national greenhouse building code. Full-length ridge vents are standard. All overhead glass panes are made with specially tempered safety glass. 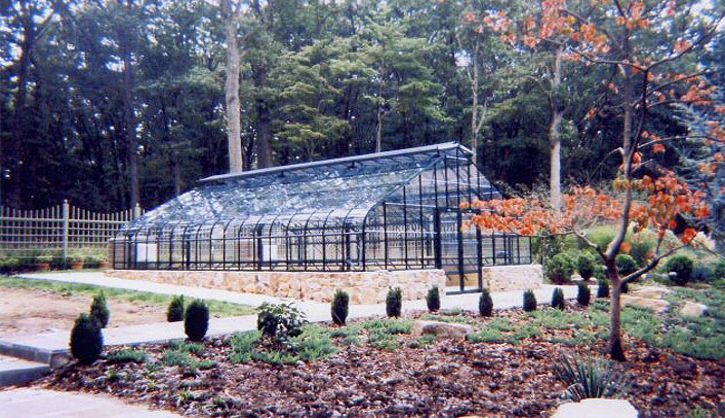 Whether you have a private estate or an average urban backyard, the AC Garden Series Greenhouses allow the serious gardener to pursue their interests in a beautiful environment. Structure: Exterior framing consists of a 6063-T6 aluminum extrusion alloy supported by a hot-dipped galvanized steel substructure. The steel structure consists of truss-style ribs on 8' 5-1/4" centers (6'9" for 25# wind loads). Framing sections between steel ribs consist of 5 vertical rows of glass on 20 1/4" centers (4 rows of 25# wind loads). Sidewall posts attach to a perimeter foundation 8" above floor grade and 8" thick (9" for 25# wind loads) to the depth required by local conditions and practice. 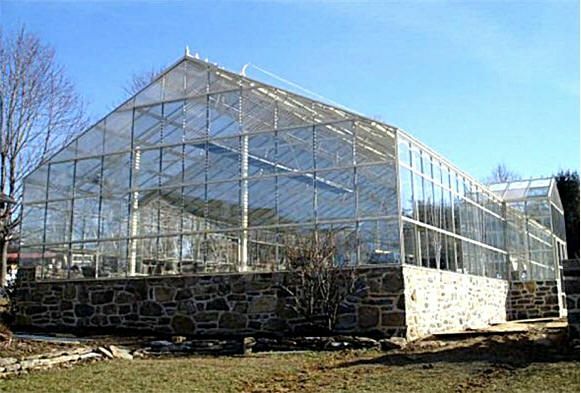 (24" high walls or higher for snow zones and special applications may be used) All bolt screws, new and other fasteners used in the greenhouse shall be galvanized, stainless, plated or aluminum as required by the manufacturer. 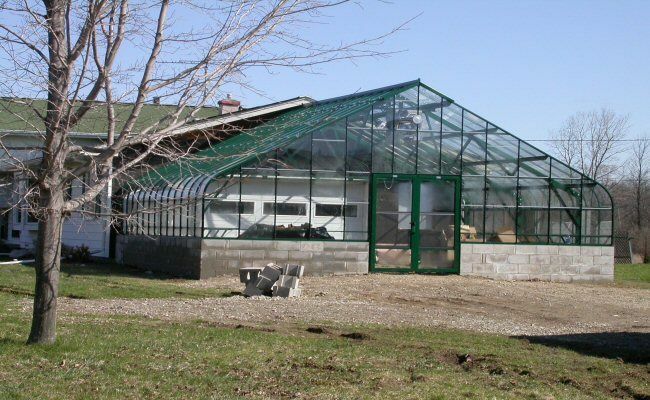 Design Load: AC Greenhouses can be tailored to meet any current building code for wind load and/or snow load. Stamped engineering calculations are available. Glazing: All glass used is 1/8" annealed or 1/8" tempered. Roof glass is shingled 1/2" to 3/4". Vertical glass is supported and separated by special vinyl extrusions. 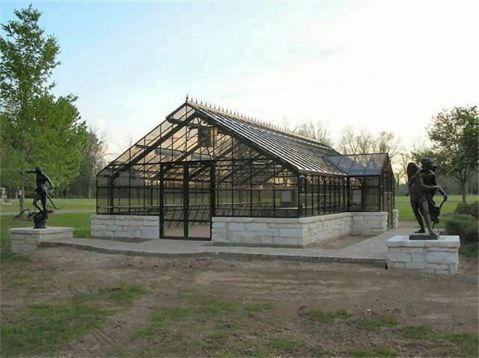 All glass is held in place with specifically designed stainless steel slips. Glazing compounds used in the bedding of glass shall by butyl glazing tape and modified acrylic and/or silicone caulking. 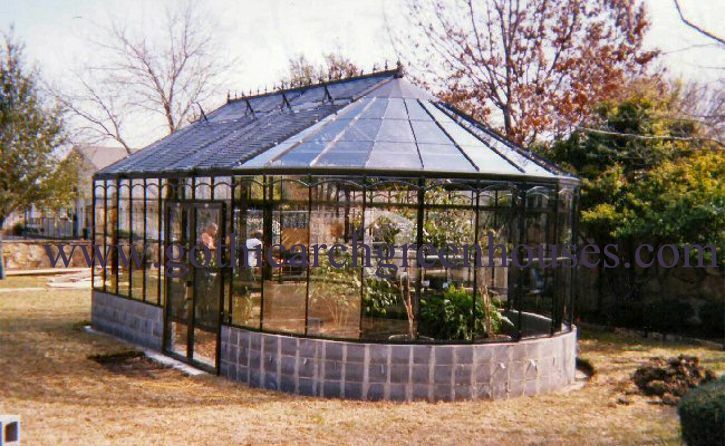 Clear twin wall insulated polycarbonate or fiberglass materials are available. Ventilation:Has a continuous ball and socket hinge along either side of the ridge to facilitate a single vent along each side from end to end. Vents are operated from a single point by a permanently lubricated worm gear driven chain vent machine, one on each side of the ridge that shall be manual or automatic (as specified) and integrated into the overall climate control system. Side vents are available for special applications. Doors: Doors and frame are extruded aluminum shapes for hanging 1 3/4" thick tubular aluminum doors (1-1/4" thick on smaller models). Doors are installed and pre-hung within 1 3/4" x 3" extruded aluminum framing at all openings to the required size. Sill Plate:The sill plate is an extruded aluminum shape approximately 2-2/4" x 2" permitting lateral security and sufficient adjustment to accommodate minor foundation irregularities. 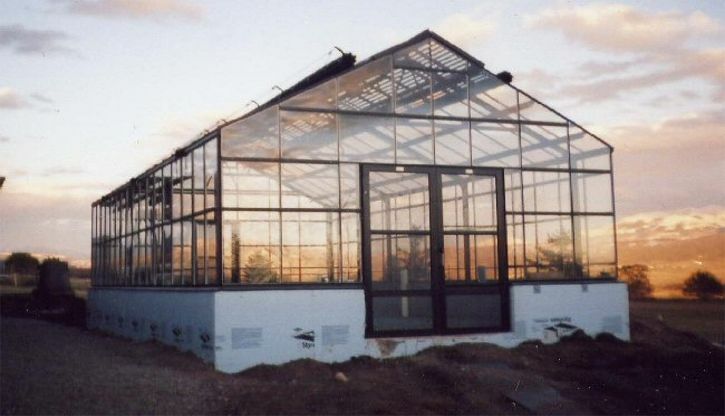 Aluminum glazing bars suspended on a galvanized Steel:The hot dipped galvanized steel frame is 3 x 4.1 channel with 4 x 5.4 side posts for AC2500 series; W x6x9 I beams for fixed frame series extending from foundation to ridge and opposite foundation without interior supports. Welded 3/8" base plates are secured to foundation with two anchor bolts each of the size specified on the drawings. 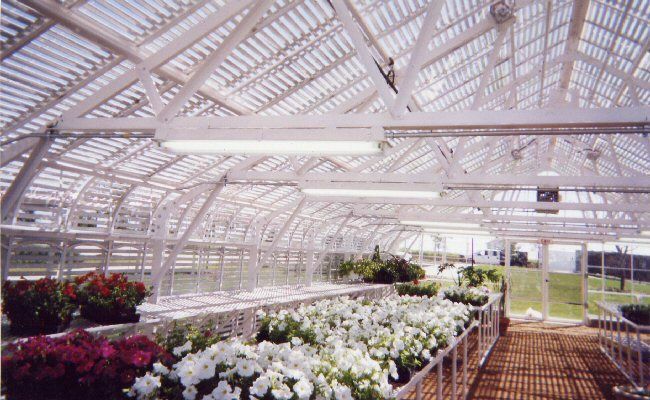 Purlins: The purlins are an extruded aluminum shape specifically designed for greenhouse use weighing 0.912 lbs. per foot. Glazing Bars: The glazing bars are an extruded shape weighing approximately .03 lbs. per foot and measuring 1 1/8" x 1 1/4" designed to incorporate stainless steel glazing clips. Modifications: Adjustments to standard models are available upon consultation. 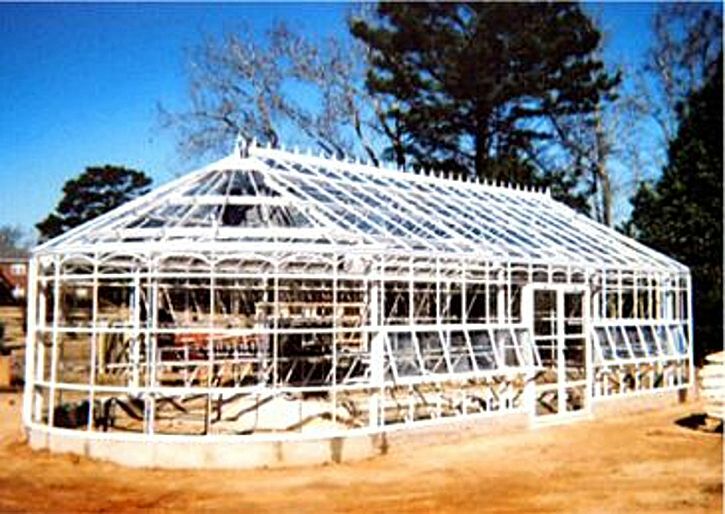 Erection:The erection and glazing of the greenhouse and setting of climate control equipment shall be as specified in the contract. Delivery and installation is available nationwide by our skilled and professional factory installation team. Call for quotation. 10-3/4",32' 3-1/4",37' 4",40' 8-1/2" 49' 1-3/4",54' 2-1/2",67' 8-1/2"
The AC-900 is our smallest freestanding AC Garden Series Greenhouses, but its every bit as big in features as the largest. Perfect for smaller yards, the AC-900 has plenty of space for two benches to give the active gardener ample puttering room. Sturdy construction takes hanging plants in stride and ensures years of successful gardening projects. 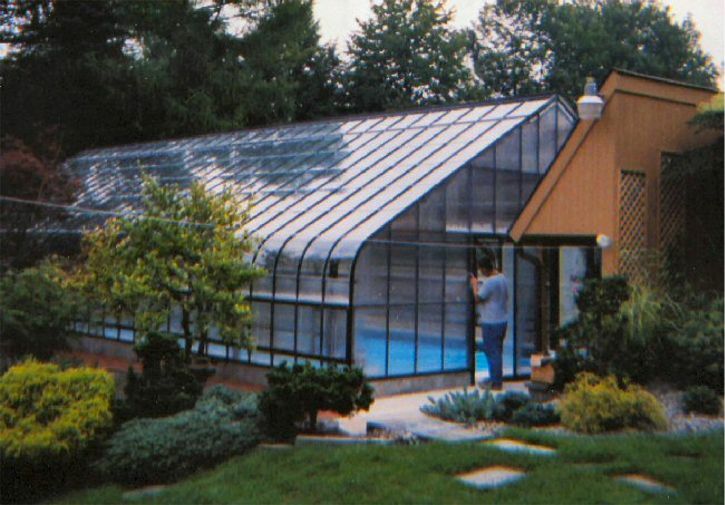 The Hobby has an all-aluminum frame, is available with glass or polycarbonate covering, and features two attached benches, and an all-electric ventilation system. 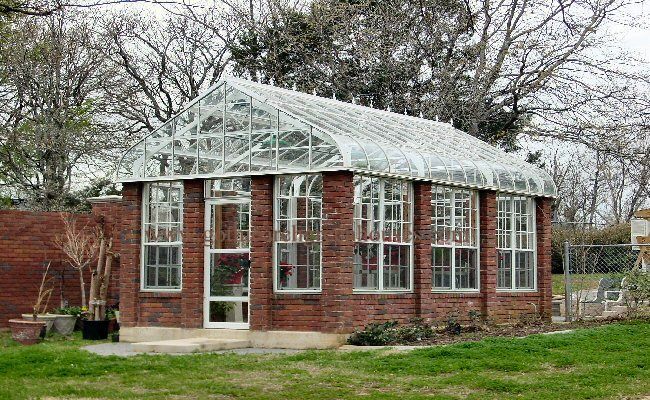 When you want to explore greenhouse kits for a wide variety of uses, Gothic Arch is here to assist. Please contact us directly at 1-800-531-4769.